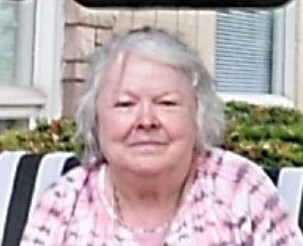 Marcia L. Wysoske, 72 of the Marshall apartments in East Liverpool passed away at the Valley Oaks Care Center in East Liverpool on Sunday, April 7, 2019, following a lengthy illness. Born in New Castle, Pennsylvania on September 17, 1946, she was a daughter of the late James F. and Kathleen Smith Hill. A Christian by faith, Marcia retired from the US Army material command of the US Government. Along with her parents, she was preceded in death by her husband, Don Wysoske and her sister, Etta Hill. Surviving is her son, Quinton Leymaster of Coal Valley, IL. ; her brother, James Hill of Steubenville; her sisters, Michelle Lynn Grim, Anna Ferguson of Pittsburgh, and Lisa Dawn Shreve of Columbiana; her grandchildren, Nicholas Leymaster, and Ashley Holmes; and her great-grandchildren, Scarlett Holmes, Madelynn Holmes, and Leo Leymaster. Pastor Tom Schneidmiller will celebrate her life with a memorial service at the Arner Funeral Chapel in Chester on Thursday, April 11, at 2:00 p.m.